Katrina began her career as a hairstylist, most notably at the award winning salon “Noddy’s on king” in Sydney’s Newtown. Her natural ability and interest in fashion makeup and hair styling provided an easy introduction into the industry where she has successfully combined the two arts. Whilst Katrina’s work took her on travels around the globe from Mexico to the Maldives to Los Angeles, in 2003 she decided to move to London to expand her expertise in fashion, beauty, celebrity and television commercials. She worked with Magazine such as British Vogue, Elle, Glamour, Marie Claire, Sunday Times paper, The Guardian and the Evening Standard Magazine. Her Television commercials in the UK included, WH Smith, Debenhems, Clarkes shoes, New look and the Body Shop. 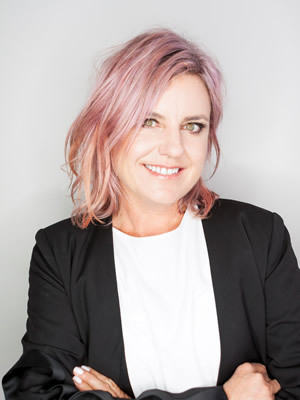 Katrina now continues her work here in Sydney on leading fashion and editorial brands, her television commercials include Telstra, Ezibuy, Palmolive shampoo & conditioner, Citibank and Mcdonalds. Constantly evolving and adapting to the latest trends, Katrina also has the experience and understanding of storytelling in the motion world. Ensuring the talent are taken extra care of, as well as adapting to the various team and crews special needs and requirements.